Alexis’ first labor with her son started with her water breaking, and contractions were close together and difficult to manage. She ended up with an epidural as she was near the end and feeling the urge to push! She ended up tearing from that birth in an unusual way. Her most recent birth was just 3 weeks ago with her daughter. She chose a birth center the second time, and her labor went completely differently. The labor was amazing the second time around with a short and intense pushing phase. Connect with Alexis via Kansas City Doulas. The Birth Hour – hearing other women’s birth stories! At the end of today’s episode we chatted with Munchkin dietician about some of their products including their Grass Fed Toddler Drink, Stainless Steel Miracle 360 Cup and Stainless Steel Snack Cup. 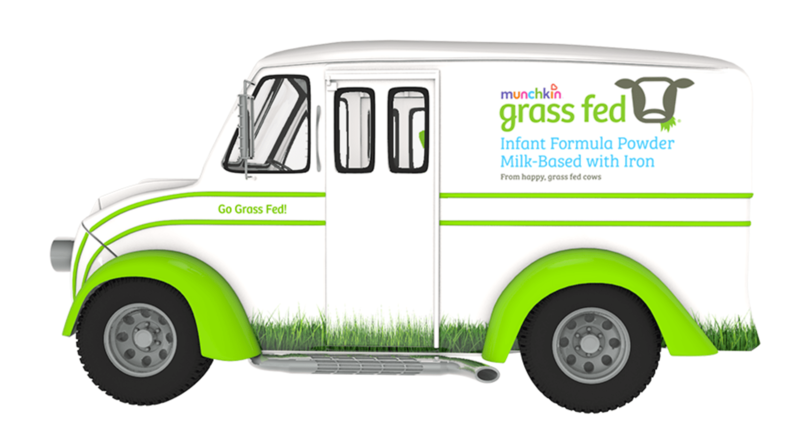 You can also follow along with their traveling milk truck here.